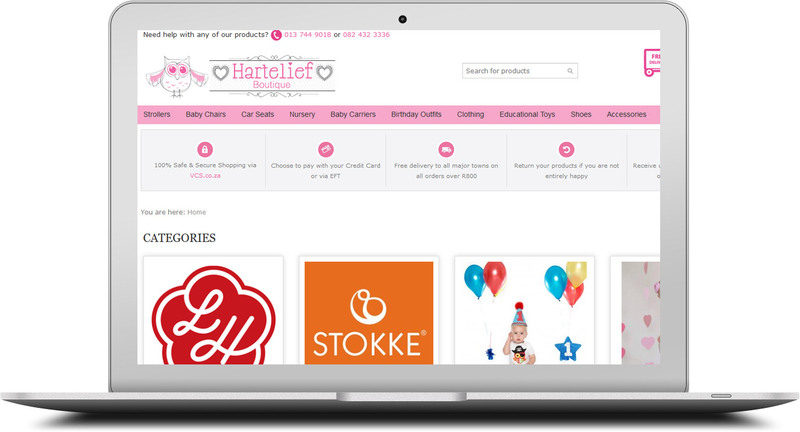 Hartelief is an online store selling high end children's fashion and baby furniture and accessories. They needed a fully functional eCommerce solution where parents could search for items by colour and size, order and pay online and have it delivered to their front door. We opted to design the website using Joomla and the Virtuemart plugin as it is quite easy to use for the end-user once set up. We integrated with VCS.co.za (now Paygate) for their online credit card payments, allowing them to accept real-time secure credit card payments online. Please contact us for a free evaluation on your current website.